We as Dominicans have been blessed with two consecutive years of celebrations. Last year we celebrated the 800th anniversary of the Dominican Order. This year we celebrate one hundred years of the presence of Dominican brethren in South Africa. As part of our celebrations we have developed this new website, for which I thank Fr Brian Mhlanga, to help you get to know the Dominicans in South Africa better. The Dominicans have been in sub‑Saharan Africa since the beginning of the fifteenth century. The Order now has houses and convents in fifteen African countries, not to mention the personal apostolate that some friars are carrying out elsewhere. Portuguese friars intermittently preached in Sao Tome and in the Congo of Antiquity during the sixteenth and seventeenth centuries. Happy Feast of St Dominic! Happy Feast of St Dominic to All in the Dominican Family! 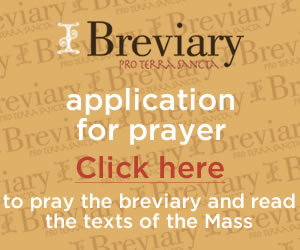 Daily sermons based on the common Christian lectionary, given by members of the Order of Preachers (the Dominicans) around the world.